Fasting is defined as a willing abstinence from some or all food, drink or both, for a period of time. According to the principles of Alternative Medicines, the act of fasting is by itself therapeutic as it is beneficial for the health. Fasting helps purify and rejuvenate the body by eliminating toxic waste matters and regenerating new cells to replace the old diseased ones. The practice of fasting is a universal one. Its benefits have long been discovered and are evident through historical and religious text. Human beings around the world fast for religious or health purposes. Either way, the act still benefits the physical body. It is a natural way of cleansing and regeneration of both the body and the mind. Many ways of fasting have been proposed by different religions. For example, the Muslims fast during a period known as “Ramadhan”, whereby they abstain completely from food and drink between sunrise and sunset. Spiritual fasting practices train Man to transcend attachment to food. Freed from the need to satisfy physical hunger, one’s attention is then turned to balancing the mind and feeding the spirit instead. That is why some Hindus practice a routine-fast as a purification process. As for the benefits of fasting on the body, famous philosopher Hippocrates believed that there is a natural healing force within each individual. According to him, the act of fasting is a very effective therapeutic measure for diseases because “to eat when you are sick is to feed your sickness”. Majority of diseases are usually caused by auto-intoxication. This is due to an accumulation of excess morbid materials in the body from overeating, an imbalanced diet and incomplete elimination of toxins from the body. Fasting therefore not only enables the organism to detoxify and clean the ‘inner house’, but also gives a chance for the digestive organs to have some rest. Fasting is also often indicated in the practice of Western Medicine. Patients are told to fast prior to surgery or other procedures that require general anaesthetics because of the risk of pulmonary aspiration of gastric contents after an induction of anaesthesia. This prevents the patient from vomiting and inhaling the vomit that can cause life-threatening aspiration pneumonia. Certain medical tests in hospitals also require fasting for several hours so that a measurement baseline can be established. It is also interesting to note that people who are nearing the end of their lives are often observed to somehow naturally abstain from both food and water. In the realm of Alternative Medicines, a fasting therapy usually includes abstinence from all kinds of food except water and air. These two elements are regarded as indispensable. The length of time one should fast includes (but not limited to) the age of the individual and the nature of the complaint. Even though fasting is generally not dangerous, one is still encouraged to seek professional guidance from a natural therapist before proceeding with a fast so as to ensure one gains the optimum benefits from it and reduce any possibility of negative impacts on the body for not practising it properly. There are different types and methods of fasting. Some may choose to opt for a short fast (between 1 to 7 days), while others may choose to practice a long fast (more than 8 days). For those who suffer from particular conditions or diseases may be advised by a naturopath to fast continuously until their body system shows indications to break it. To maintain optimum health, people are also recommended to practice intermediate fasting, which is to fast for a certain period at intervals. Various methods of fasting can be prescribed to an individual. Like the Muslims during Ramadhan, they practice complete fasting, meaning total abstinence from both food and drink from sunrise until sunset. This is normally prescribed in religious practices as it helps one detach from the cravings for food and water to divert the mind to feed the soul instead - e.g. by thinking of God. Those who cannot withstand the process and intensity of a complete fast, they may resort to partial-fasting. Such fasts also offer the same benefits of healing and cleansing of the body. Although the process may be more comfortable to the individual, the speed at which detoxification occurs is however, slower. There are many sub-branches of partial-fasting, which is also otherwise known as “selective fasting”. For people who find it difficult to abstain themselves from water, they may practice a water fast. During the period of such fasting, only water is consumed. From the view of Alternative Medicines, water is indispensable. Not only does drinking water helps expel toxins from the body, it also does not place any pressure on the digestive organs, hence allowing them to rest completely. Instead of working on digesting food, the energy retained in the body can be allocated to cleansing and repairing damaged tissues within the system, thus restoring its balance. 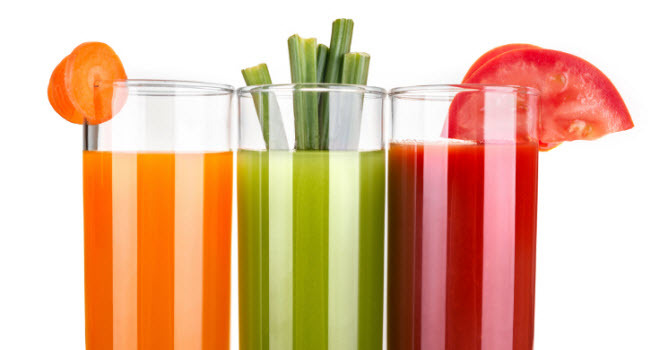 Less rigorous fasting therapies include juice fasting. This is widely practised by many people all around the world. Such a fast enables the practitioner to last for a longer duration of time to allow a deeper and more thorough cleansing of the body. While providing a base level of calories and nutrients to sustain energy, a juice fast alkalinise the system and speed up the detoxification process. India’s famous naturopath Dr. H.K. Bakhru in his book called “The Complete Handbook of Nature Cure” focuses a lot on fruit juice fasting to treat diseases. When properly chosen, certain fruits and vegetables have therapeutic effects on the body, which can therefore aid the healing process. Another type of partial fasting is known as a mono-diet fast. This means eating just one type of food for a period of time. Those undertaking this fast limit themselves to one choice of food, particularly fruits such as apples, grapes, watermelon and others. The intestinal system only needs to provide a limited number of enzymes to break down the consumed food during a mono-diet. Therefore, food items that are easily digestible are the best candidates. During the process, the digestive system is able to work at its minimum and can therefore rest so that healing and rejuvenation can occur. A good accompaniment to other partial fast is to drink a mixture of sea salt (also known as Epson salt) and lukewarm water. This is called saline fast fruit fasting. The intake of salt water is usually prescribed in the morning before consuming any food. Salt water cleanses the body and is effective in treating common cold, digestive ailments, fever and more. It can help kill harmful bacteria in the intestine and the flush clears the toxins from the digestive tract. During a juice fast, pulp from the fruits may build up in the intestine and ferment, hence causing gas and bloating. The salt water flush is effective in relieving this condition. This method is not harmful to the body and is therefore safe to be used as often as needed to restore balance of the body system. However, patients suffering from advanced forms of appendicitis, ulcer, intestinal tuberculosis, hypertension or cancer are not recommended to practice this technique. Although fasting has immense benefits, practising it the wrong way may also bring more harm than good to the body. Therefore, as already mentioned in the above, although fasting is generally safe to practice, it is still recommended that one seeks for professional guidance before proceeding with the therapy. Talking to another who has fasted before would provide an individual with good insight about what to expect from the practice. It is also a good idea to check with your family doctor to determine if you are physically fit to fast.A short fast of approximately 3 days or less is usually very simple and can be undertaken without too much concern. Possible crisis can however accompany a long fast, which include fainting, cramps, retention of urine diarrhoea , headaches, insomnia, slow pulses and vomiting. People suffering from certain health conditions may also face complications during therapy. This includes patients suffering from acute tuberculosis, acute malignancy, advanced stage of diabetes, pregnant and lactating mothers and elderly people. Precautions should also be adhered to for those who consume allopathic drugs. Natural therapists discovered that medicinal drugs may sometimes not be assimilated by the body, and eventually transforming them into poison. It is therefore encouraged that the fasting regimen be monitored by a holistic healthcare professional. Selecting the right time and place to fast also plays a very important role. One may not be able to successfully complete a fast regimen if carried out in a very stressful environment. It is recommended that the therapy be carried out in a peaceful and calm environment so that the practitioner is not disturbed emotionally, which may disrupt the process of detoxification and healing. When fasting is not carried out properly, it may lead to starvation, which is harmful to health and can even lead to death. Planning is usually not required for short fasts but is essential if an individual decides to fast for a longer period of time. Toxins are released as the body adopts a fasting regimen. If the body is not properly prepared to fast, it can cause the re-absorption of released toxins, thus causing physiological problems such as nausea, flu and even hallucination. To prepare for fasting, it is advisable that one consumes as many items as possible in one’s diet within the first 4 days such as fruit, vegetable juices, soup and raw vegetables. On the 5th day, the practitioner is to consume a normal lunch in the morning and to have only fruits in the evening. On the 6th and 7th day, the practitioner can then start their intake of only fruit juices. Having completed the preparatory stage, the individual is now ready to undertake a long fast as the body has taken its time to readjust itself to suit a different state. During the fasting period, several symptoms may appear such as a foul taste, bad odour of the mouth, coated tongue, loss of weight, tiredness and more. All these are signs indicating that the body is ridding from itself toxins and morbid matter. There are also signs indicating the time to break a long fast. A fast can be broken when natural hunger returns, foul breath disappears, the tongue becomes clear, the mouth is free from foul taste, an improvement in skin-texture and vision observed, and a general feeling of well-being. The positive effects of fasting can be either visible, or invisible in nature. Generally, the practitioner will feel refreshed as blockages in the system are opened and toxins expelled from the body. One can also observe a reduction in metabolic activity during the initial fasting period. Fasting helps relax bodily organs, giving them necessary rest to restore vitality and health. Muscles of the stomach are relaxed, improving mobility and overcoming any distension. Due to this, the digestive process becomes more efficient. Digestive-related illnesses may also be healed such as gastritis and ulcers. Through fasting, the healing of lung tissues also occurs more rapidly, thus relieving any symptoms of congestion. The therapy also helps strengthen cardiac tissues and effectively clear skin diseases as toxins are eliminated from the system. Blood in the body is also purified from toxic substances after a fast, and becomes less alkaline in nature. Glucose is stored as glycogen predominantly in liver and muscle cells. During a fast, this substance (glycogen) is exhausted. Fat is also removed from the kidney, hence improving its function and impurities are cleansed and expelled from the intestines. Both the pancreas and spleen are also observed to contract in size during fasting, returning to their normal sizes after fasting is completed. There have also been records showing that fasting is beneficial for dental care as loose teeth become firm, toothaches vanish and diseased gums are healed. Fasting helps the practitioner gain spiritual benefits too. It has been observed that by fasting, as the body becomes lighter, the mind becomes clearer as well. This in turn allows spiritual awareness to deepen. It's an excellent report! Very detailed and straightforward. I had always wanted to fast but didn't know the exact way to do it. I was worried I'd faint or something. Could never hold a fast too long. Now I see why. It's because I've been fasting the wrong way. I've always jumped into the act of fasting. Never prepared for it before. Thank you for this useful and well-written article. I always felt sleepy whenever I fasted so insomnia was definitely not my crisis. I'm surprised to learn that today though.. great job! It was an eye-opening report indeed. Hi Dr. Genevieve, I wanted to know what is the best fasting method to lose weight? is it dangerous for kids to fast? my boy has been ill for some time. i thought of putting him into some kind of detox programme. he's slightly overweight and my local nutritionist suggested that he tries fasting but i'm worried that fasting will be detrimental for him. what should i do? @Hanna-Laura: Generally, a fruit juice fast can help restore balance to one's digestive system. In fact, there are some people who have had their stomach ulcers heal just by adhering a strict fruit fast. There are several juices that can be beneficial for gastric patients such as potato juice, cabbage juice etc. If you are a chronic sufferer from gastritis, it is advisable that you avoid / minimise the amount of acidic juices. @Kerry: All fasting methods, when carried out correctly, will promote weight loss. You just have to select which you are most comfortable with and adhere to it. Remember not to jump immediately into complete fasting though. It is always important to prepare the body for a fast by allowing it to adjust slowly. @Worried Mother: It is generally not dangerous for children to fast. They reap the same benefits as the adults do from the fasting process. However, if you have a very active child, it is very important that you monitor his/her condition as they will definitely get tired very easily. Just like the Muslims, it is up to the parents to determine if your child is at an age whereby he/she is fit to fast. Otherwise, consult your family doctor to get a professional opinion. Thank you for your reply Dr. Genevieve. I'll think about it. Most probably, I'll choose the popular fruit fast or mono=diet.